Prior to the acquisition of LucasFilm by Disney and the resetting of Star Wars canon, Skorr and this story were considered the canonical depiction of the events referenced in the film. An audio drama released in 1983, Rebel Mission to Ord Mantell was written by Brian Daley (who also wrote the scripts for the Star Wars radio plays that aired on NPR, as well as the Han Solo Adventures, novels featuring Han & Chewbacca prior to the start of A New Hope). 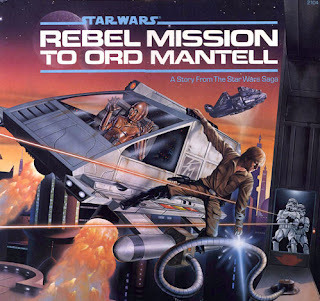 Featuring Han and Luke leading a mission to distract the Imperials from the preparations for the Rebel's base on Hoth, it was intended to depict the encounter on Ord Mantell mentioned in Empire, but was later determined to just be the detailing of another adventure on the planet featuring the main characters. 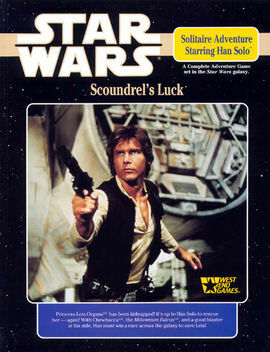 Written by Troy Denning (who would later write several Expanded Universe novels for Del Rey) and published by West End Games (whose role playing game sourcebooks are responsible for some of the earliest detailed information about the Star Wars universe outside the films, including the names of many of the films' ancillary characters), "Scoundrel's Luck" was a choose-your-own-adventure type story set on Ord Mantell. 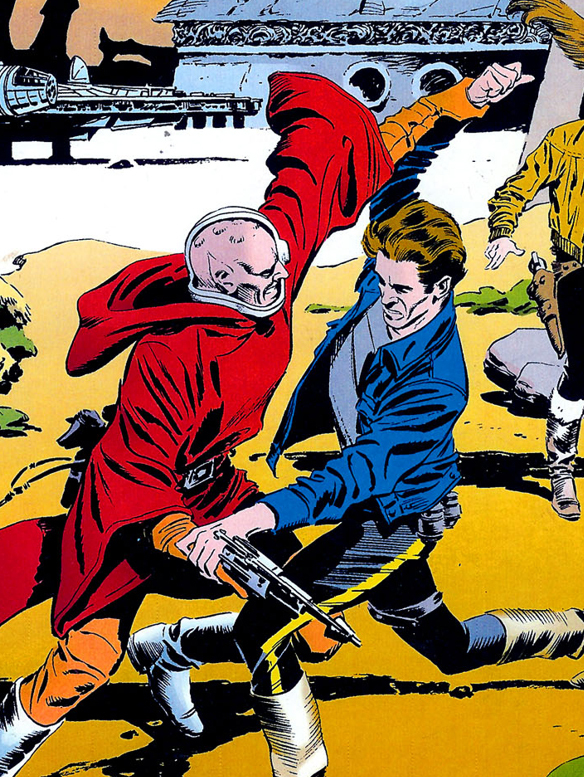 Published in 1990, it was determined to take place much closer to the end of A New Hope than the beginning of Empire, and thus, depicting just another encounter with a bounty hunter on Ord Mantell. 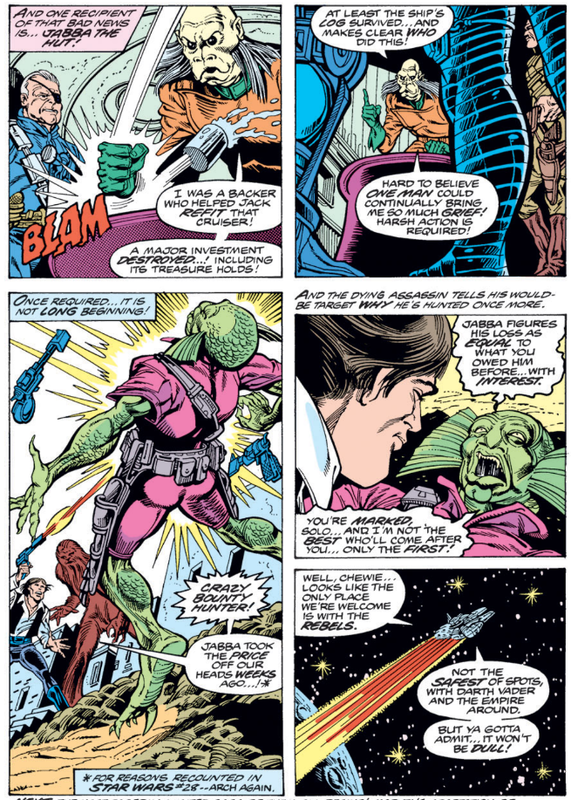 The closing page of issue #37 of Marvel's Star Wars comic (the issue intended to be the last before the start of the series' adaptation of Empire) features Han having a run-in with a bounty hunter, learning in the process that Jabba has reinstated the price on his head (which had been cleared in an earlier issue of the series). The location of the encounter goes unnamed; after watching Empire, it would be easy to assume this page is depicting the event Han references. 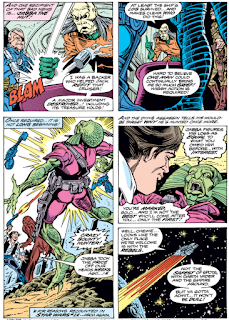 However, Archie Goodwin, who wrote this issue, later presented the tale of Skorr in the comic strip, thus relegating the events depicted in this issue to just another encounter between Han and a bounty hunter, on an un-noted planet. Given how much I like the comic strip, it should come as no surprise that the Skorr story is my preferred version of this event. I'm glad Lucas considered it the canonical version.